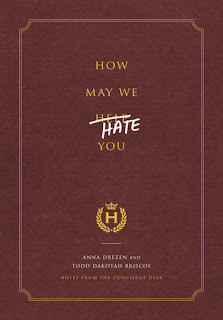 How May We Hate You? is very well done, creative and most importantly, funny. When we perused the promotional literature, we were thinking that the writers were unkind people with bad attitudes and poor work ethics. However, now that we've had a chance to peruse this publication, we have changed our mind. Actually, we would like to see such a book for more professions. We could write one our self for having been employed by an art museum as a Gallery Guard or a host of other employment positions, for which hilarity naturally ensued. However, we would have to do a good job of the book as Briscoe and Drezen have done, here. 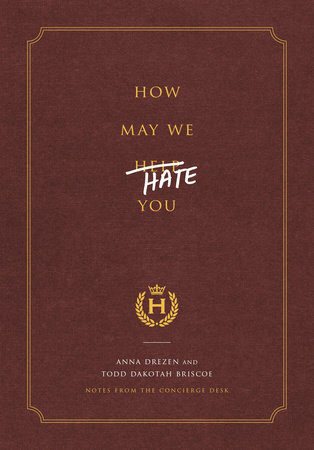 How May We Hate You? is a good read unless you see yourself in between the covers as an unpleasant or incredibly stupid interaction with one of these concierge's. Surely, that will not happen to the masses?